Usually emphasis is placed on the perceiver after an event. And for an obvious reason: the UFO doesn’t hang around to be interviewed. Back during an UFO flap in the 1970s some boys got together and hoaxed some sightings. They constructed a latticework within a transparent plastic laundry bag and then placed candles inside their improvised hot air balloon. After the candles were lit, the plastic bag lifted into the night sky, creating an eerie glow. And during the same flap, a couple of guys wrapped aluminum foil over their bodies, creating the appearance of silvery aliens. During their nocturnal lurking in the woods, they spooked the hell of drivers who caught ghostly glimpses of the pair in the headlights. That was funny, but stupid when you think about it. I don’t think either prankster was wearing a bulletproof vest. So when considering the subject of a sighting, one must consider if intelligence (or the semblance of it) is controlling what has been perceived. And when I say intelligence, I mean something considerably above the mental capabilities of a pelican. An intelligent controller can affect how the object can be perceived. This doesn’t rule out pranksters who have at hand devices more sophisticated than plastic laundry bags and aluminum foil. Call this a mental exercise. I haven’t thought this all out in any great detail. Also, I doubt what I am proposing will provide any great philosophical or metaphysical insights. Many others have probably made similar observations but with different terms. But at the same time this componential overview is a quick way for me to look at the UFO issue. When I say UFO I mean Unidentified Flying Objects, i.e., something unusual is observed in the sky that can’t be readily explained. I’m not limiting my use of the term to nuts-n-bolts ET vehicles. Up front: this overview assumes an objective reality. Some people don’t believe in such a concept. These individuals think that “reality” is a shared illusion. Fine. To such a thinker I say go outside, locate a brick wall and then smash your forehead into it. Then ask yourself as the blood runs down into your eyes if objective reality is a valid concept. To get a grasp on what happens during an UFO incident, I look at the problem with a simplistic breakdown involving four main components: perceiver – perception – projection – subject. Nutshell: A human perceiver detects what is being “projected” by a subject (UFO). His perception is filtered through his own individual mindset and sensory abilities. This perception interacts with the appearance of the subject, what details that the object projects. When I refer to projection, I don’t necessarily mean than a subject is consciously revealing certain details about itself. I’m using the word in a broad, neutral sense that can be applied to inanimate objects under certain conditions. For example, a black bowling ball lying on a windowless, gray-painted room. When the ceiling lights are on, the ball appears as a black sphere against a gray background. It visually projects its location to anyone with good eyesight. Turn off the lights. Allow no illumination. Now the bowling ball projects “invisibility” to someone whose normal perception isn’t aided by a flashlight or night-vision goggles. Its location can’t be readily determined – until the perceiver trying to find his way around the room stubs his toe against it. So with an UFO incident, I try to consider all the components, looking at each one and how it interacts with the others. At the same time, projection can mean that a subject is being intelligently controlled, revealing only certain aspects to a perceiver. The UFO operator – or even the UFO itself – could be playing with the perception of the observer. A topic for another time. Three nights and counting. 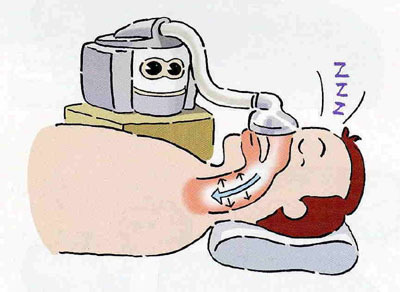 Maybe I’ll eventually get some proper rest, finally dealing with my sleep apnea. I’m trying to adjust to another C-PAP machine. They’ve made progress in the design of the units: the new one is smaller, lighter, portable. But I still have to sleep with a facemask attached to a long hose, a cyborg elephant man. Once again I’m using a nose mask. With the other unit the mask just clamped on around my proboscis, held in place with straps. It didn’t move; it just sat there. The new mask has a bellows-seal that slowly pulsates in and out as I breath. Remember the face-hugger from the movie Alien? That’s what I think about as I drift off, that some living ET glob has attached itself to the center of my face. But I have slept with this hi-tech hook-up. The first time I kept waking up every couple of hours. The second time I slept with only one interruption during an eight hour stretch. Last night I only slept maybe four hours hooked up and then just slept free. I never woke up enough to reconnect. So far I do seem to have a bit more energy, but I’m still putting in too many hours of slumber overall, plus not feeling totally rested for most of my waking hours. I’ll stick with the program as long as I can. Maybe I’m not seeing the dramatic results that other people have experienced because the pressure has to be increased even more to keep my airways open. I’m at 10, the same pressure as the old machine. As I mentioned in a previous post, they didn’t get enough data during my last study at the sleep lab because I could only go under for about a couple of hours. Maybe the pressure has to be increased. I’ll just have to wait and see what my doctor says during my next appointment. Until then, all I can do about the problem is sleep on it.